Faculty and students from the GT-Bionics Lab brought home awards from the American Congress of Rehabilitation Medicine (ACRM), held October 23-28 in Atlanta, Georgia. The GT-Bionics Lab is led by Maysam Ghovanloo, a professor in the Georgia Tech School of Electrical and Computer Engineering (ECE). 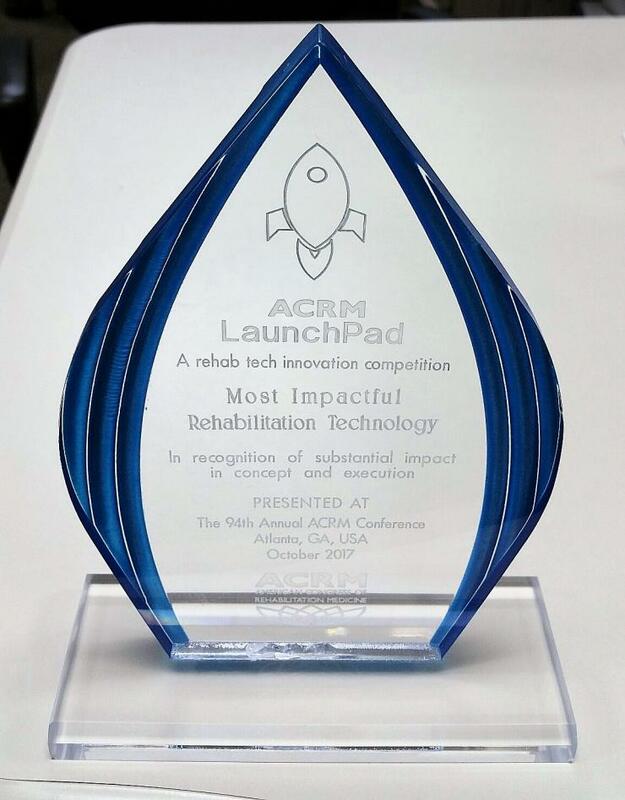 Ghovanloo and his team received a Most Impactful Rehabilitation Technology Award for their development of “A Multimodal Tongue Drive System,” or mTDS for short, at the Inaugural Rehab Tech Innovation Competition, which was part of the ACRM conference. In addition, Md. 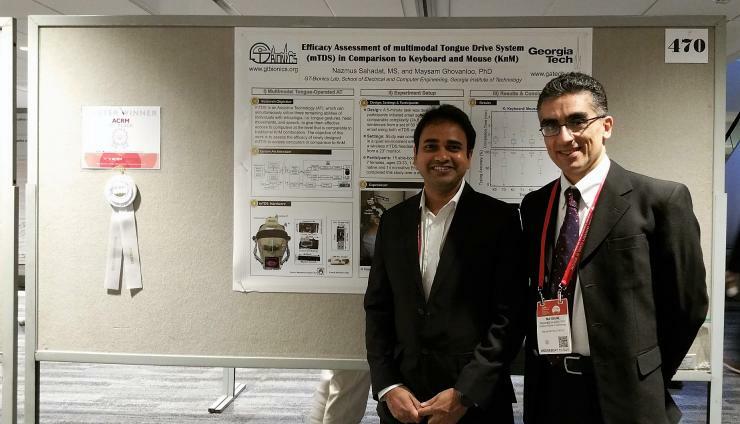 Nazmus Sahadat, an ECE Ph.D. student in the GT-Bionics Lab, received the ACRM Third Place Poster Award for his poster entitled “Efficacy Assessment of multimodal Tongue Drive System (mTDS) in Comparison to Keyboard and Mouse (KnM).” Ghovanloo is Sahadat’s doctoral advisor and co-author on the poster. The mTDS is a highly integrated wireless assistive technology in the form of a lightweight wearable headset that uses three remaining key control and communication abilities in people with severe physical disabilities, such as tetraplegia, to provide them with effective access to computers. These abilities include: 1) tongue motion for discrete/switch based control (e.g. clicking); 2) head tracking for proportional control (e.g. mouse pointer movements); and 3) speech recognition for typing, all available simultaneously. Multimodal simultaneous discrete and proportional control input options offered by the mTDS, plus rapid typing, are expected to provide more effective computer access to people with severe physical disabilities. The ACRM brings together an inter-professional mix of rehabilitation professionals from around the world to learn about cutting-edge research and its translation into clinical practice to improve the quality of life experienced by people with disabilities.